SAN BRUNO, Calif. (KGO)—The pipeline disaster in San Bruno 16 months ago exposed many problems and sparked new regulations. Expensive changes are coming and consumer advocates argued before the California Public Utilities Commission Wednesday that PG&E needs to pay. PG&E first filed its proposal last August. Consumer advocates didn’t like it then and they don’t like it now. "The CPUC needs to ask why a single penny of PG&E’s proposed costs for pipeline replacement, for pipeline testing and record keeping should be recovered from ratepayers," Mark Toney, the executive director of The Utility Reform Network, said. Wednesday, consumer advocates and Assm. Jerry Hill, D-San Mateo, angrily criticized PG&E’s proposal that asks the CPUC to approve a $2.2 billion safety improvement plan, with 90 percent of it covered by rate increases over 50 years, with an average increase of $1.85 per month for residential customers for the first two years. But Hill says PG&E’s proposal fails to mention another $3 billion in debt interest and shareholder profits. "The largest portion of PG&E’s plan is in fact shareholders profit, which means PG&E could in fact profit from the devastating events in San Bruno," Hill said. "This is a consistent practice that California utilities have been using for a long time; California utilities are allowed to earn a regulated rate of return on capital projects they invest in," PG&E spokesperson Brian Swanson said. And PG&E says it’s only asking customers to pay for future improvements. "Any mistakes we made in the past, any work we should have done in the past, our shareholders are covering that work; we’re only asking to cover in rates that work that’s required to meet new regulations and safety laws," Swanson said. 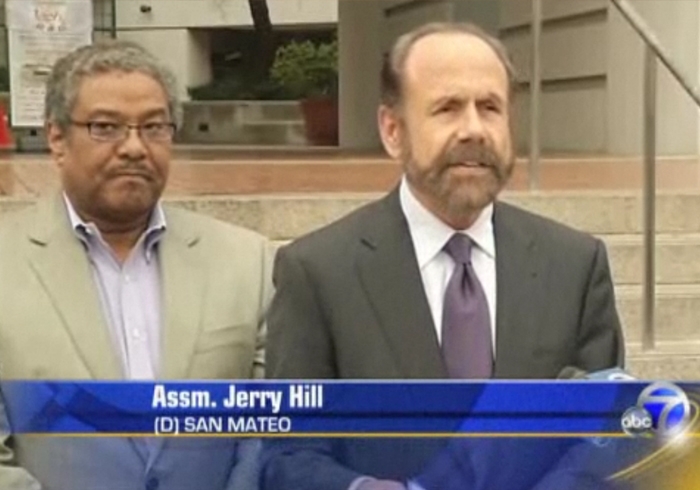 San Bruno’s mayor told the CPUC that his city is deeply concerned about the decision ahead. "We want the CPUC to know that San Bruno and its citizens are watching very closely," Mayor Jim Ruane said. The CPUC declined to comment. A final decision is still months away.